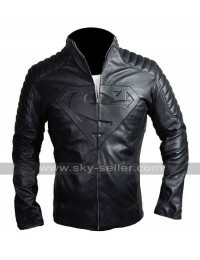 This black colored ladies leather jacket has been enhanced with perfection of making and has been manufactured using the most genuine leather material with a choice of opting for a faux leather material as well. This jacket has been provided with an inner of viscose and has a very decent and stylish finishing as well. 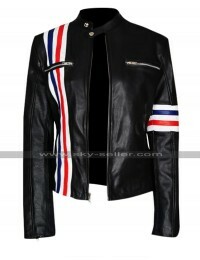 The front side of this jacket has been provided with a zip closure and wide collars in shirt like style. 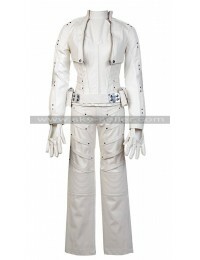 This jacket has been provided with full sleeves in length and is very comfortable as well. The jacket has been provided with stripes on the shoulders and sleeves in yellow color and there is a belt like layout on the waist line as well. This jacket is a slim fit choice and appears to be a choice which is a neutral one and may be worn on any occasion without a doubt.